Our paddlesport sessions for schools and groups give everyone the chance to get active on the waterway, learn new skills and enjoy the magic of experimental education – learning by doing and developing the confidence to respond to new challenges and environments. There really is nothing better than being in control of your own kayak as you glide through the water - but don't just take our word for it... check out these fantastic testimonials! "I would like to personally thank you for everything you and your team have done over the years. The incredible delivery of kayaking lessons as well as the encouragement that is offered to our year 10 students at Regent High School has been invaluable. 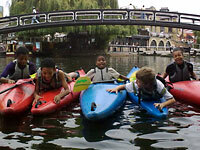 Every year we take approximately 180 students to Pirate Castle to experience kayaking on the canal. It is something that the students look forward to every year and is well attended by all students. The chance to go kayaking at such an affordable price has allowed us to take our school to Pirate Castle for over 5 years and we will continue to do so because of the countless benefits it offers them. Students show an increased confidence, maturity and work ethic when they know that their progress and performance is solely based on their persistence and patience. Many students have decided to take on further classes to improve their skills over the summer holidays. We are all very excited to bring the next set of year 10s to Pirate Castle in the 2019 summer term." Our friends at REMARK! bring youth and adult groups from the deaf community to paddle with us, here's their review! All sessions are run by fully qualified, friendly and experienced British Canoeing/UKCC-accredited coaches and can be tailored to suit the needs of your group. Activities range from short taster sessions to structured, curriculum-based programmes over a term or throughout the year. We also offer formal progression and accreditation pathways through British Canoeing's 'Paddle Award' and 'Personal Performance Award' schemes. We have a wide range of craft, catering for first-time paddlers to more advanced levels. Please note that our instructors work at supervision ratios of 1:8 for all school and support group sessions. As part of our commitment to local schools and the support groups who help make a real difference to people's lives, we are delighted to offer subsidised rates for sessions booked by local state schools, charities and voluntary support groups! Eligible schools and groups are charged only £45 per hour/per group of 1-8 participants, with longer sessions and/or larger groups charged as multiples thereof. Public (fee-paying) schools and charities/voluntary groups with annual incomes over £250,000 are charged at £65 per hour, per instructor. Discounts are available for block bookings of 6 sessions or more on the same order. 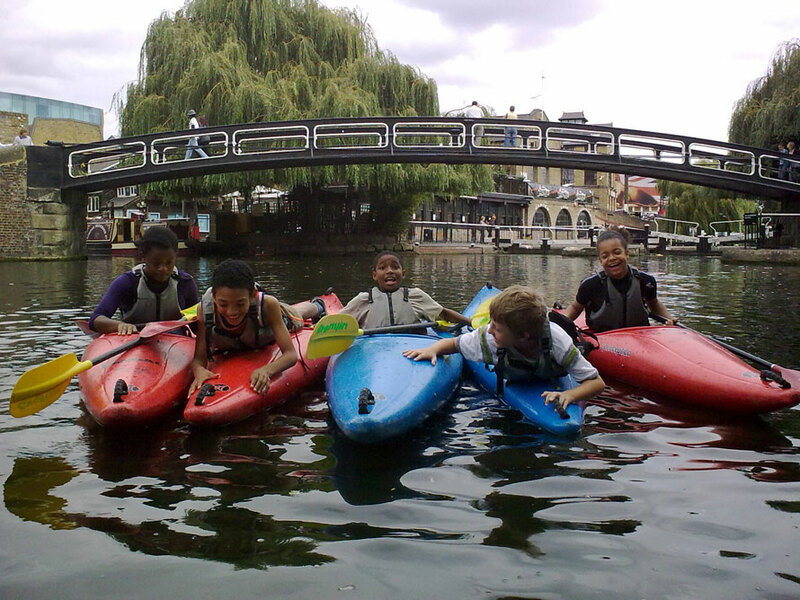 In addition to being fun and energetic, we ensure that our paddlesport sessions complement Key Stage learning. Within each of these areas we encourage a range of soft skills, including: effective communication, motivation of team members and respect of peers. To keep track of individual progression we offer an evaluation service which can be added onto any activity sessions at the time of booking. This will include an individual skills record, evaluation report of the group as a whole and the issuing of any certification. We may also ask the students to fill in a quick evaluation of our service so that we can maintain good standards.